Unsightly – many stumps leave your yard looking untidy and like a job was left unfinished. delivering a quality solution – including state of the art equipment, well trained staff and a tidy finish. Eden Stump Grinding is constantly assessing the most effective machinery to provide the best quality service. Our range of stump grinders allows us to get into some of the most difficult spots and grind both small and large stumps. 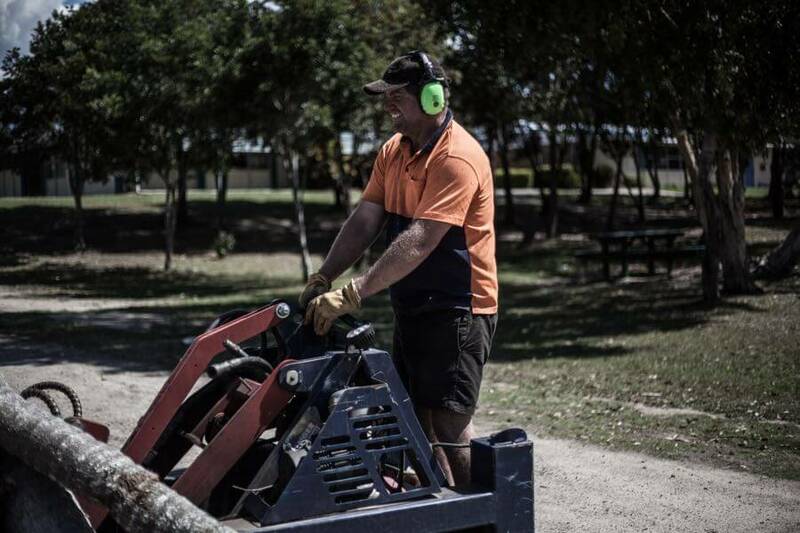 Our machines range from smaller walk-behind grinders to larger 4WD, fully hydraulic grinders. The owners of Eden Stump Grinding (Paul, Phil and Brittney) are passionate about building a company that serves it’s customers well and provides a place of meaningful and enjoyable employment for it’s staff. Our staff work hard to make your interactions with Eden a positive experience. Our desire is to partner with you in your objective and to do everything we can to assist you. At the core of Eden Stump Grinding is the belief that God created this beautiful planet and commissioned humanity as stewards of it. Your opportunity to steward the patch He has given you is a glorious privilege and one which reflects the creativity, gifts and abilities He placed in you. We’d love to join with you in restoring Paradise to your garden.